We sell Daewoo Excavator Parts, Doosan Excavator Parts, and also parts for these excavator brands: Terex, Hyundai, Samsung and Volvo . All of these parts are genuine OEM and you will save up to 40% off regular retail prices. If you would like to go directly to our website Excavator Parts Page, please click on this link: Hydraulic Excavator Parts and you will be automatically directed to the correct page. 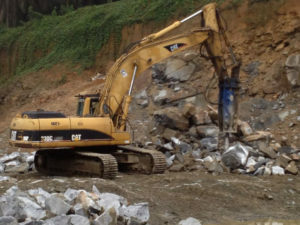 Since 1999, RJ Hydraulic Hammers and Heavy Parts has been supplying excavator parts to customers all around the world. We are Worldwide Shipping Specialists, and we will ship directly to your location. Call us for a quote on even those hard-to-find parts for older machines. We proudly offer savings on most parts including Travel Motors, Hydraulic Pumps, Final Drives, Swing Drives, Engines, Cylinders and Much Much More! Call us today at 1-888-651-0187. Visit our homepage at www.besthammers.com.